Welcome readers to this post on how to make your computer touch screen for free, you can add the touch screen feature to your computer weather old or new windows with this little trick am going to be showing you today, you don't even need a touch screen conversion kit for this nor a very long tutorial all you just need a to follow this pc tutorial till the end so as to know how to make a touch screen at home. Now the big question is how to convert non touch screen into touch screen, yes this can be done with a device called AirBar. Airbar is a pc accessory that is use to convert non touch laptop to touch screen laptop without stress and for free also, this device makes it possible for you to control what ever you want to control on your laptop screen. This is really a mind blowing tech because it also allows you use anything on the screen of your laptop. Let take for instance a mother in the kitchen watching a video of how to bake a cake and want to zoom-in to check the name on a particular recipe she saw in the video, with Airbar she don't need to remove her gloves because it allows you to use any object on the screen. Now the big question is how does this device work, read on to see full details. AirBar is a Plug and Play Device which is available for 11.6 inches to 15.6-inch Laptops. AirBar is a slim module which magnets to the bottom of a PC’s display. So when you have attached it, you will plug it to the USB port in which the sensor will be activated. After the activation of the sensor the Airbar begins to emit light to the screen of the pc in other to detect gestures on the screen, this gestures can be from your finger, gloves, chopsticks and any other thing you can think of. It also make use of the popular gestures we all know which is zooming, pinching, scrolling and swiping. Don't you see that AirBar is one very important device that would help to ease work both at office, school, and also while traveling. You can carry this device around to where ever you want to go making it a pocket free device and also the best way to covert a laptop to touch screen. The video below shows how the Airbar works and also how to use it on your computer. Like I said earlier, this device works well with gloves, this simply means you don't need to remove your glove and since it emits light, it will easily detect your hand gesture. Also, your fingernails can be used to scroll and interact with the pc easily. The minimum requirements of operating system the device support Windows 8 and higher and also Chromebook. Also, AirBar not working with MacBook becuase no official support for this device in OSX Operating System and MacBook. 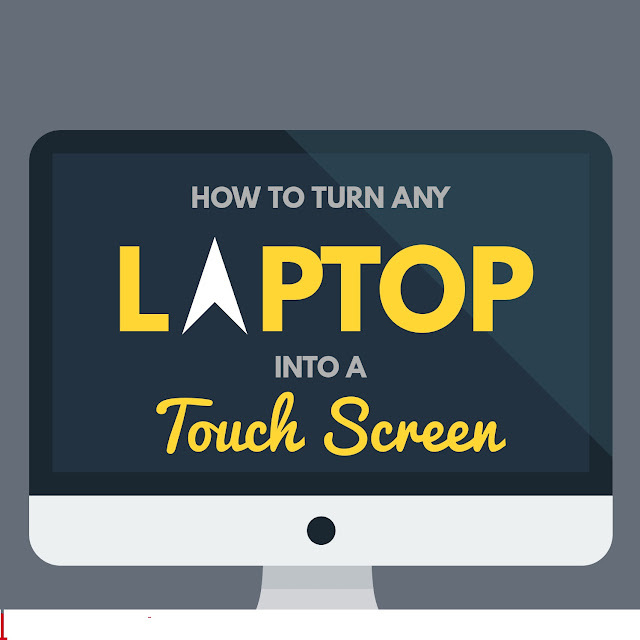 This post covers the scope on how to convert non touch screen into touch screen, how to make laptop touch screen with software, and airbar review. If you have gone through the text writen about airbag in this post the by now you should know that it is 100% possible to covert a non-touch screen computer to a touch screen computer. Search Tags:how to make laptop touch screen with software, how to convert non touch screen into touch screen, airbar alternative, airbar touch screen, airbar touch screen price in india, airbar price, how to make laptop touch screen without airbar, airbar lazada, airbar touch screen price in india, airbar for windows, airbar price, airbar for mac, airbar alternative, airbar review, how to make laptop touch screen with software, how to make laptop touch screen without airbar, touch screen conversion kit, how to make laptop touch screen with software, how to make your laptop touch screen for free, how to make your computer touch screen for free, airbar 14 inch, how to make laptop touch screen without airbar, stylus for non touch screen laptops, how to make a touch screen at home.